Construction of a new structured public parking garage to provide an additional 350 bays in the Bridgeways precinct close to the Century City Conference Centre has started. The four-level parking garage, which includes a basement, will provide overflow parking for the Century City Conference Centre, Hillsong Church, Virgin Active Gym as well as other businesses in the vicinity. The structured parking garage will also include an e-parking component allowing businesses to rent additional parking bays on a monthly basis. There are three other e-parking facilities scattered around Century City. 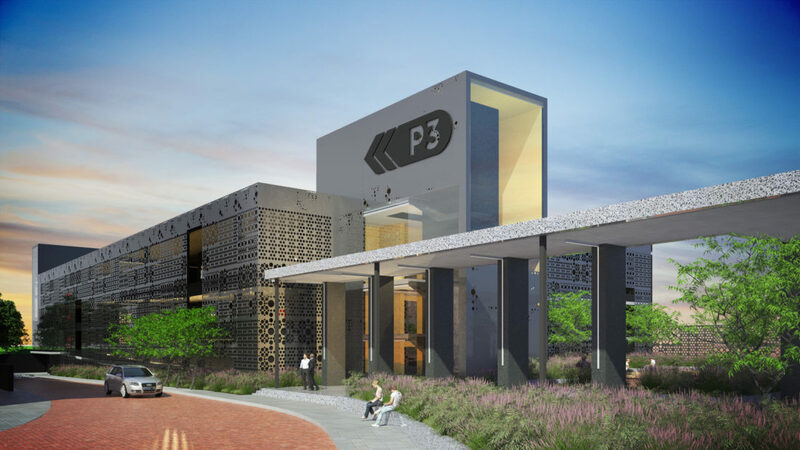 To be known as P3, the parking garage is situated close to the existing P1 and P2 public parking garages that also serve the Conference Centre, Hotel and businesses in the area. Rabie’s Colin Anderson said rather than provide a massive oversupply of parking by catering for individual needs, this shared facility will service all the demands of a wide range of parties whose parking needs are complementary. He said construction was anticipated to be completed early next year.